94.9FM St. Michael Catholic Radio is launching a new campaign this week! Catholic radio in Tulsa has come a long way in its short life. This year will be the second birthday of St. Michael Catholic Radio being on-air. In 2 short years, the station has grown far more and faster than ever expected. They average about 10,000-15,000 page views a month on www.stmichaelradio.com. Closing in on almost 1,000 friends on Facebook. Launched an app that will stream the radio broadcast. Went from a small low-power 102.9fm station to a full power 94.9fm station with the tower in midtown so it will reach all of the metro area. Went from airing no local content to airing multiple local shows and having the ability to broadcast live. They are currently working with the local Catholic high school, Bishop Kelley, to become involved in their journalism broadcasting class so students can get real life experience in the workforce. This year they won a local award in Broken Arrow. They record weekly reflections, Theology on Tap, CYA events, Theology Uncorked, Wednesdays at the Cathedral, book signings, and much more. All of this is blessing, but it would not make a difference if it didn’t help promote the mission of the station which is to spread the truth of the Catholic Church our Lord Jesus Christ founded on the Apostle Peter. David Niles, President of St. Michael Catholic Radio, and Adam Minihan, Vice President, sat down together to reflect on how to continue promoting Catholic radio in Tulsa. “Even after being on air for 2 years, we are still struggling to get the word out. We run into both Catholics and non-Catholics all the time that have no idea there is Catholic radio in Tulsa,” Niles said. While brainstorming, Niles came up with an idea to brand Tulsa as “Catholic Radio Country”. That was the birth of the campaign that will launch September 22nd, 2016. 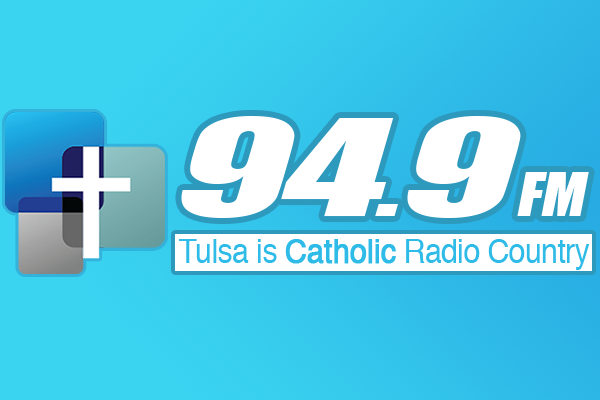 “We needed to let the community know that Tulsa has a Catholic radio station. We wanted to build off all the momentum we have had this year and keep the ball rolling so we put a game plan in place to help spread the word,” said Minihan. That plan came to life with the help of a private donor and a local billboard company in Tulsa, Whistler. The graphic for the billboards in Tulsa. As the campaign launches the two hope it will not only bring awareness of the station but get people to tune in while driving to and from work. As the station continues to grow, both Niles and Minihan constantly brainstorm for new ways the station can serve the community. “We want Tulsa to become known as a Catholic city like Wichita or St. Louis. This is the first step of many to come over the next couple years,” said Niles. That is their plan and this campaign will be a launching point for them. The station is a nonprofit 501c3 that is run strictly on a volunteer basis. They receive a couple of monthly donations but mainly receive funds for their operating expenses from their annual fundraiser, Theology at the Tower. This year it will be held on December 2nd at Tulsa University. Want to become a St. Michael Catholic Radio volunteer? Want to make a tax deductible donation to St. Michael Catholic Radio?